Pustak Ka Vivaran : Aatish ki Jeevani se Sambandhit Vivaranon se Gyat hota hai kI Atm-Svabhiman Unke Vyaktitv ka Ek Svabhavik Ang tha. Unaka Arambhik Jeevan Ek Prakar ki suvidha aur Nishchitata mein beeta IsaliYE Vahan bhavukata ka Asar Jyada dikhaI deta hai jisakI Abhikyakti UnakI ShayarI mein bhI huYI hai. Unake krttiv mein Apanui vansh-Parampara ko lekar Uchit ya Anuchit Ullekh nahin Milata nahin hai……….. 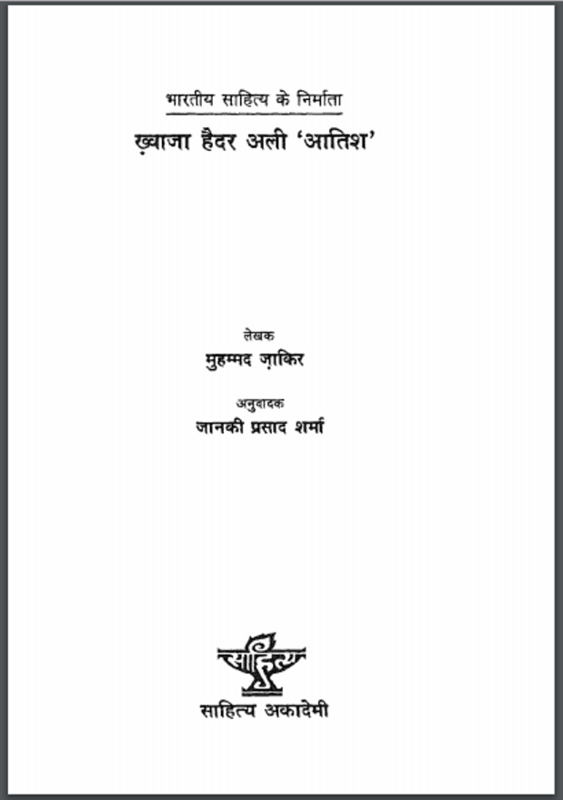 Description about eBook : The details related to the biography of ‘Aatish’ are known that self-respect was a natural part of his personality. His early life has passed in one type of facility and certainty, hence there is a greater effect of sentimentality which has its effect in his poetry. In their merits, it does not get proper or inappropriate reference to their offspring……………….